SACRAMENTO — While the California Air Resources Board continues to forge ahead like a blind bull in a china shop with its far-reaching climate change plan, the extent of the destruction that could result is beginning to become evident. At a legislative hearing Tuesday, it became uncomfortably apparent that CARB officials simply do not understand what drives the free market. Unfortunately for California, the agency’s environmentalist supporters and much of the Legislature are in the same boat. Despite warnings and the many legislative hearings where business and trade associations have detailed serious concerns, CARB has made no changes to its scoping plan or cap-and-trade program. Nothing gets corrected, no in-depth economic analysis is ever completed. The far-reaching agency just continues to move forward with its plan to reshape the state’s economy, appearing to be unaccountable even to the Legislature. The Senate Transportation and Housing Committee conducted another hearing on AB 32’s implementation – this one aimed at light-duty vehicles (cars and light trucks, mini vans, and sport utility vehicles) and the fuels, mostly gas, that they use in California. AB 32, California’s Global Warming Solutions Act of 2006, set the 2020 greenhouse gas emissions reduction goal into law. CARB has been heavily pushing the 2050 goals more recently, because as the agency’s Richard Corey admitted, “the last three years have seen the biggest drop in carbon emissions.” California has nearly met its 1990 levels of carbon emissions, and done this without radically changing the standard of living in the state. But that is apparently not enough. “California must move toward a zero-based emission system,” air board executive Alberto Ayala said. “These are health-based air quality standards,” he added. This “health-based standards” is a new phrase for the CARB and its supporters. It was used throughout the hearing. CARB plans on ridding the state of 85 percent of its 22 million internal combustion engine vehicles by 2050 through implementation of its Low Carbon Fuel Standard. Currently, only 0.0002 percent of vehicles in California use alternative fuel or have hybrid engines, a number acknowledged by several of the transportation experts at the hearing. Hybrids, electric cars and alternative vehicles just don’t sell. They are much more expensive than internal combustion engine vehicles, most are unattractive, and the purchase costs versus savings don’t pencil out on a spreadsheet. Instead of working with auto manufacturers to help create fuel-efficient and hybrid vehicles people will buy, CARB continues to mandate unrealistic policies and goals. Central to the air board’s policy strategy is the Low Carbon Fuel Standard program, which took effect in 2011 and requires a reduction in “carbon intensity” in all fuel. CARB calculates emissions in the carbon intensity calculation, but also includes extraction and how the fuel is refined and transported. As part of its calculation, CARB also assigns scores to oil from all over the world. The gasoline produced from it must be mixed with “cleaner” fuels to achieve a carbon reduction. Showing what a subjective process this really is, the air board includes factors such as environmental-friendliness of the oil-producing country. The Western States Petroleum Association has a big problem with CARB, and for good reason: The inadequate supply of low carbon intensity fuels and biofuels will very shortly leave oil refiners with no viable compliance options. According to a recent study commissioned by the association, the low carbon fuel standard would produce a steep decline in demand for refined products, particularly gas, resulting in a loss of 20 to 30 percent of the state’s refining capacity by 2017, and up to a 35 percent loss by 2020. California’s cap-and-trade auction program, according to the WSPA, will increase the cost of making gasoline and diesel up to 69 cents per gallon, depending on the cost of carbon allowances. Cathy Reheis-Boyd, president of the WSPA, warned that continuing with the CARB plan for cap-and-trade auctions and the low carbon fuel standard could result in refineries closing and the loss of 51,000 jobs in California. With these refinery closures and lost jobs, by 2020, the state stands to lose $3.4 billion per year or more in tax revenues, Reheis-Boyd said. — 96 percent of California’s transportation fuels are petroleum-based. — Californians consume 42 million gallons of gas, and 11 million gallons of diesel fuel each day. 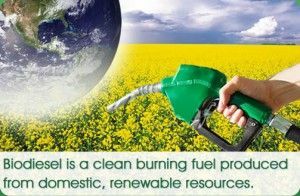 — 1.750 million gallons of gas and half a million gallons of diesel fuel are consumed every hour in California. — California is the third-largest fuel consuming entity on Earth, behind the U.S. as a whole, and all of China. 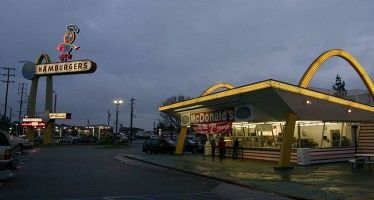 Reheis-Boyd said when the low carbon fuel standard was introduced in 2007, the petroleum industry was told it was a performance-based standard that would let the marketplace determine what fuels and technologies were best suited to lower California’s emissions. “Now we’re being told the only hope for the low carbon fuel standard is to compel some industries and oil companies, to invest in technologies they may not feel are economically viable or are incompatible with their long-term business objectives,” Reheis-Boyd wrote in a recent op-ed. As more evidence that CARB’s leaders don’t understand the marketplace, they are now dictating to businesses what they should be producing. For more than four years, the nonpartisan Legislative Analyst’s Office has raised concerns about the CARB’s implementation of AB 32, the scoping plan, and low fuel standard. “Our review found that the ARB’s economic analysis raises a number of questions relating to (1) how implementation of AB 32 was compared to doing business-as-usual, (2) the incompleteness of the ARB analysis, (3) how specific GHG reduction measures are deemed to be cost-effective, (4) weak assumptions relating to the low-carbon fuel standard, (5) a lack of analytical rigor in the macroeconomic modeling, (6) the failure of the plan to lay out an investment pathway, and (7) the failure by ARB to use economic analysis to shape the choice of and reliance on GHG reduction measures,” the LAO explained in a 2008 report to the Legislature. The LAO position remains unchanged. Tiffany Roberts with the LAO presented a nearly identical critique Tuesday to the Senate committee of CARB’s plans. “[By] assuming that no actions are taken to reduce GHG emissions by 2020, the CARB overstates the problem that it then credits the scoping plan with addressing,” the LAO’s 2008 report found — a point Roberts reiterated Tuesday. Roberts said CARB still had a very weak basis for its assumptions about the Low Carbon Fuel Standard. And Roberts was quite critical of the air board’s macroeconomic analysis. “The findings are highly dependent upon key assumptions, some of which are based on incomplete data,” she said. Is this realistic? Because the air board hasn’t done trustworthy analyses, no one can know. — Sales tax breaks on hybrid and alternative fuel vehicles. — More HOV access on highways to help encourage sales of hybrid vehicles. — More parking and charging access. — Free or reduced toll road charges for hybrid and alternative fuel vehicles. If as Gov. Jerry Brown’s plan of 1.5 million zero-emission vehicles in service by 2025 is to be implemented, Augustine said the real answer is to invest in the infrastructure to support these. Bob Epstein with Environmental Entrepreneurs touted biodiesel as a viable alternative fuel source because it can be used with existing infrastructure and in cars. Epstein said biodiesel takes care of another problem by using waste in the state’s landfills to make the fuel. Epstein’s testimony indicated that while CARB is headed in the most radical direction, there are plenty of environmental entrepreneurs ready to invest in alternative fuel solutions, which may be easier to implement and won’t require all new infrastructure. CARB is a scam brought to Us by wacko enviro NGO’s. I listened to some local gov t slug say that charcoal grills, gas mowers, trimmers, blowers would be illegal within a few years in Central Valley. Of course, we will be adding millions of unskilled cretins who will do their part to contribute to greenhouse gasses by taking a crap and a few pees a day. Souds like it might hurt us on quality of life ratings. This is nothing but another way to tax people. It is bogus BS pushed by the govt. Heart disease was just tracked back to the Egyptians………so it is obvious emissions have NOTHING to do with it. CARB calculates “savings” the same way the FTC does: by completely ignoring both capital costs and output quality. For example, new clothes and dish washing machines do indeed “save energy”, as they are mandated to. They are not, however, more efficient, they simply use less energy (i.e. colder water) and produce a lower quality of cleanliness. They are also more expensive and cannot possibly pay for themselves in energy savings, just like hybrid cars. That’s right, Bob, so I and my friends rarely use our “dishwashers” and hand wash instead, using more water. Or we wash our clothes or dishes twice, again using more water. Yet my utility bills go up, up, up, because every time we conserve, the utility raises it rates to recoup the losses. How much longer before appliance businesses fail and even more thousands are unemployed? efficient washers dont have an agitator. whats wrong with that idea? yet you are suppposed to use the higher priced concentrated detergent. its a wash. no pun intended. and, forget the new electronic machines. they die sooner and its not worth fixing. thats why i got the analog knob style washer. i can take it apart and fix it myself. its a pump, drum and motor folks. yet government wants me to pay more to wash my clothes. we’re over taxed and stuck with dingy clothes people. Mary Nichols in written response to Darrell Issa stated the air was over 99% cleaner,11/23/11. So how is it that the air is cleaner than ever and asthma cases are up? Perhaps because clean air has nothing to do with it. Try looking at cockroaches and the places they thrive. Low income people must live in housing where the roaches thrive. They live there in California because there are no jobs! CARB is a main cause of this economic condition that leads to asthma. I can’t recall if athsma is up in total numbers or per capita. Could be that doctors are diagnosing ever more marginal cases as asthma, so they’re picking up patients that really shouldn’t qualify, just like they’ve pathologized boys to the point that “how boys normally act” is practically equivalent to “ADHD”. so we all get our cars smogged every year.now it’s carbs.what next?more laws to fix the planet.which naturally will screw up something else.now it’s salt fast food obesity diabetes restless leg syndrome plastic bags asthma mental health and beware of pharmacuticals ,it seems from all the ads these drugs cause so many side affects they cause as many or most problems with overall health.it is such a scary world i’ll probably suffer from anxiety if i keep listening to all the bs on tv.therefore i do not have comcast and rarely watch anything and just read or buy a good movie.